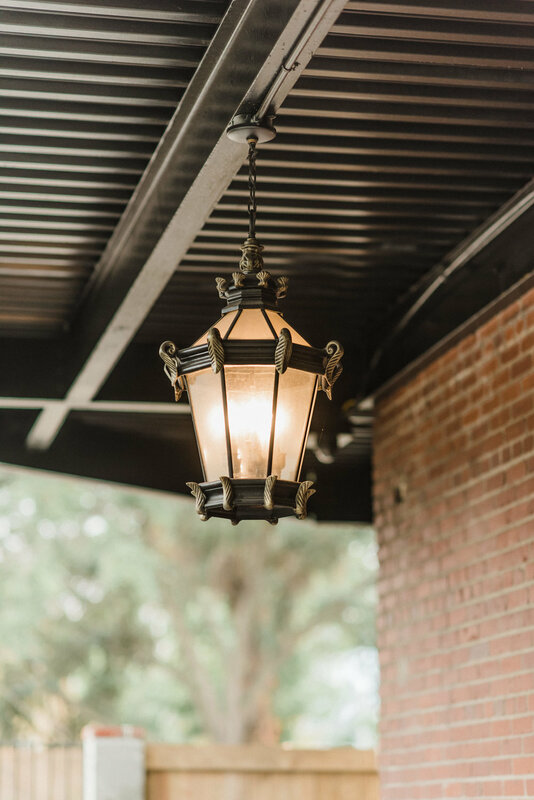 If you’re looking for a place to stay in Charleston, SC then you probably already have some ideas in mind for what you want to do while you’re here. Want to taste some of the country’s highest rated cuisine? Check. Want to explore the local boutiques and high-end shopping? Check, check. Excited to dive into the thriving nightlife? Sounds fun! Want to access it all with a quick walk from a luxury apartment? Check in to 563 King! 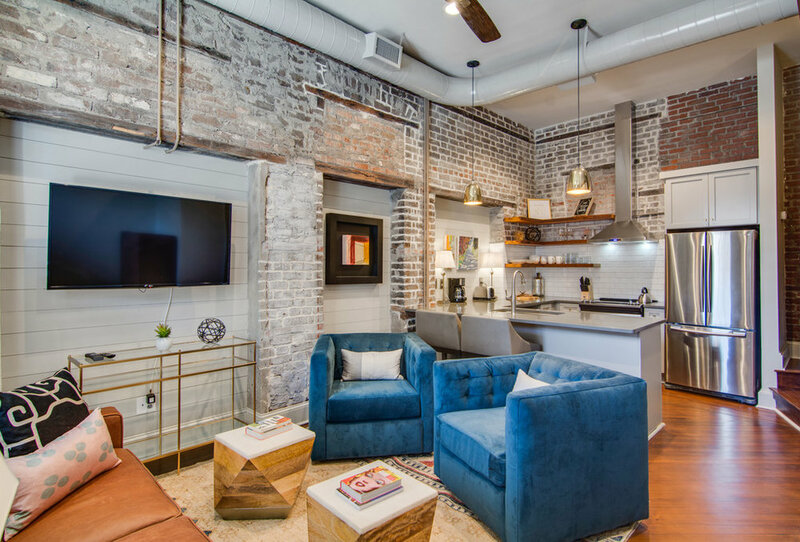 Book a stay at these signature vacation apartment rentals in downtown Charleston, SC to experience the best our city has to offer! 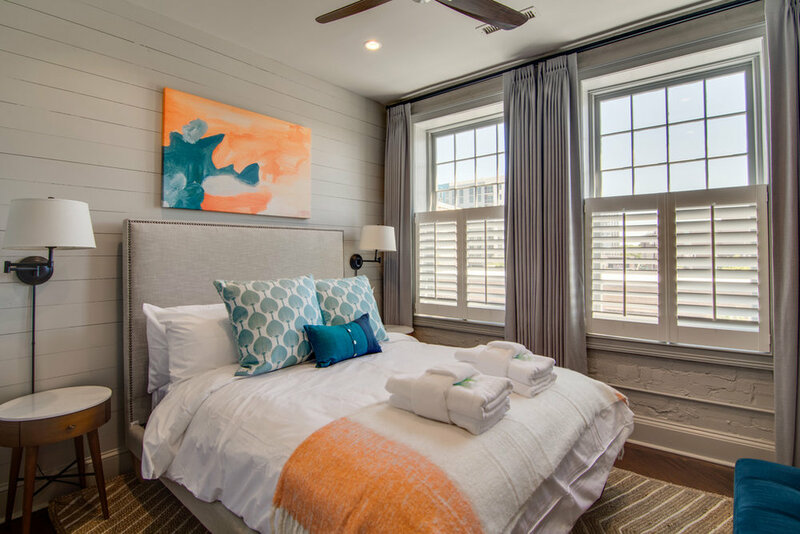 Our luxury apartments at 563 King St. are brand new two bedroom units that have everything you could need for short or long stay. ***Large rooftop deck and lower garden patio are available for rent. If event space is rented, guests will have limited to no access to this space. If interested in event space rental, please contact jamie@walkawaystays directly. The 563 King 12 Bedroom Compound consists of all six units - A, B, C, D, E & F, and sleeps up to 34 people. When you visit Charleston, don’t settle for the ordinary. Enjoy a luxurious stay in a fully-furnished apartment featuring vibrant designs and everything you need to feel right at home. 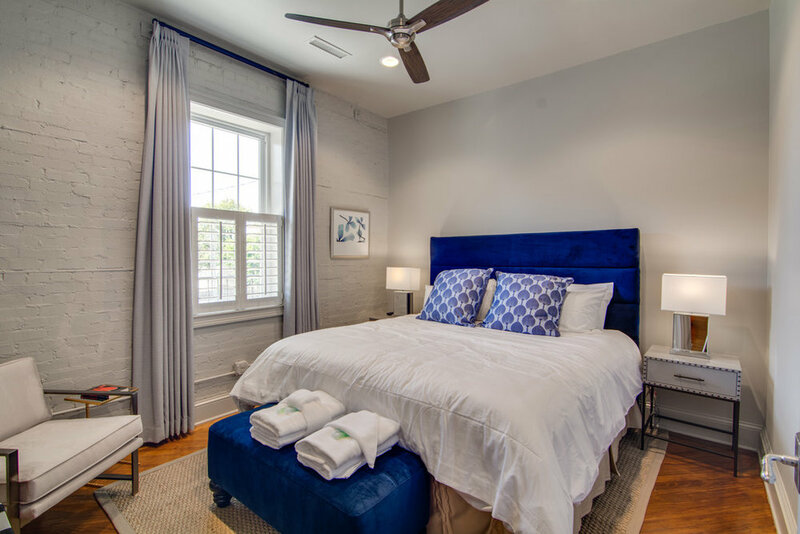 We’ve done our best to bring together all of the excitement and charm of Charleston, SC for a one-of-a-kind vacation experience.These vacation apartment rentals in downtown Charleston, SC offer an authentic feel with loads of chic vibes. 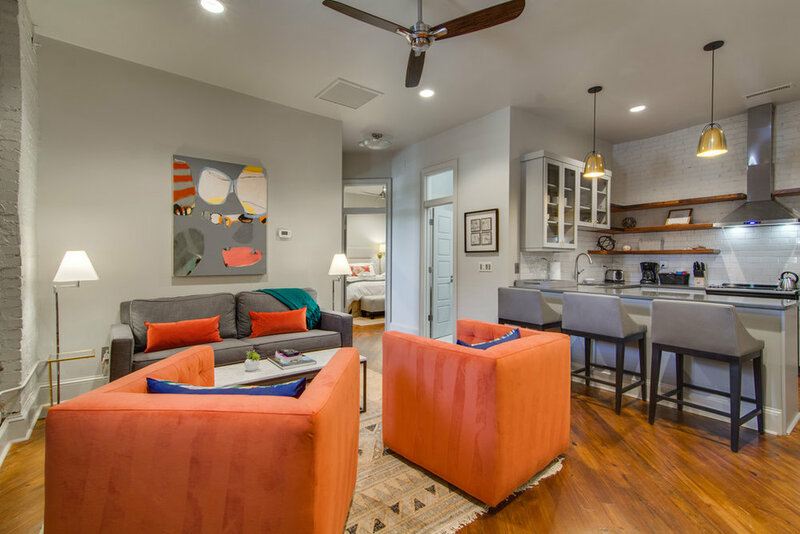 Enjoy full kitchens, high quality linens, gourmet coffee, WiFi and more! A large rooftop deck and lower garden patio are available for rent. If event space is rented, guests will have limited to no access to this space. If interested in event space rental, please contact jamie@walkawaystays.com directly. Inquire about 563 King luxury Apartments! 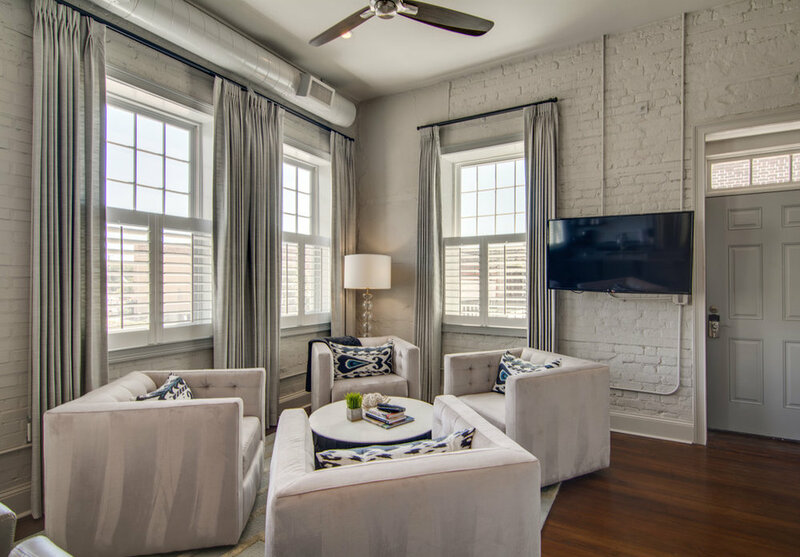 These signature apartments on King Street are perfect for wedding parties, corporate events, family reunions and more. 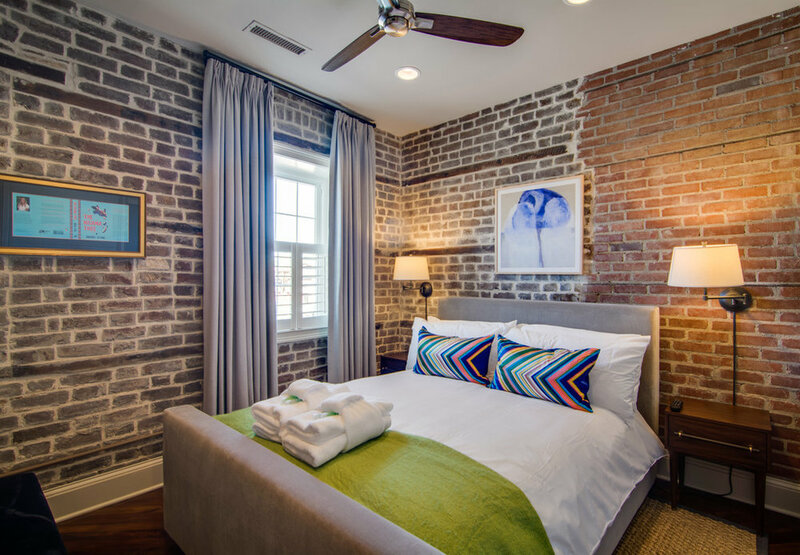 Explore our fantastic options and book one of these luxury vacation apartment rentals in downtown Charleston, SC today!